It’s been a while since I did this, mostly because I have frankly given up hope of anything changing in this blessed country. But there comes a point when, not making your voice heard is a statement in itself. A tacit endorsement at worst, an indication of apathy at best. 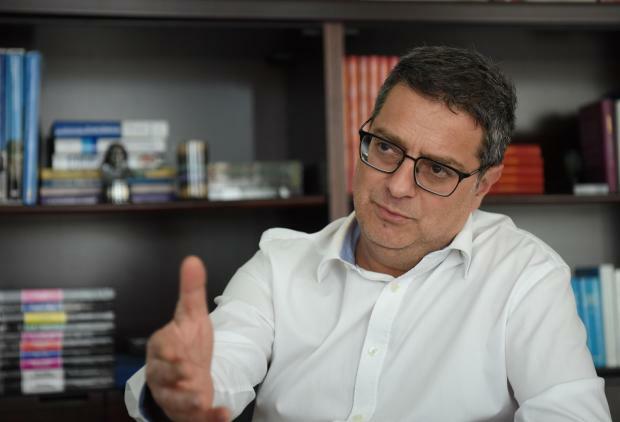 And I’m certainly not apathetic towards the events that are currently unfolding around the Nationalist Party, more specifically its leader Adrian Delia. I, together with the majority of Malta, received an avalanche of WhatsApp videos about Delia. Of course, I watched them all and braced myself for the trial by social media that would obviously follow. I wasn't disappointed. Should these private videos have been made available to the public? Of course not. Releasing a video taken in a domestic setting without providing the whole context can only lead to misguided judgements. Those of us currently shaking their heads in self-righteous disapproval need a fast reality check. None of us would come out smelling of roses, were anyone to leak footage of us having an argument with our nearest and dearest. What they do prove, however, is that he is unfit for purpose. Not everyone is suited to take up the leadership position of a political party – much less of a whole country. And there is a reason for that. Leaders are, in theory, better than us common mortals. They are people we can look up to. They possess discretion, they keep their cool, they act in the best interest of a nation. As things stand, we simply have no-one left to look up to. It is a situation that bodes ill for the future of a country, when the stench of rot coming from its two main political leaders makes you gag. Simple allegations of domestic abuse are not enough to seal the fate of a private individual, but they are enough to seal that of a politician. Everyone is presumed innocent, until proven guilty, in private life. In the public sphere, it is the exact opposite. And when you throw the WhatsApp videos into the mix, the fact that Delia has not yet resigned becomes pretty surreal. Regardless of context, the man who is Malta’s Prime Minister-in-waiting should never have placed himself in a position where such a video was taken in the first place. The fact that he chooses to dig his heels in, inflicting damage to both country and family, only serves to prove the point. Let us not be fooled – the vast majority of ‘pressure groups’ clamouring for his resignation have a personal political agenda of their own. This does not make it OK for Delia to stay on. Some tough decisions are needed fast if we want this country to get back on track. As it is, any outsider would be forgiven for thinking that actual ‘governing’ is not a thing in Malta, and that our politicians’ portfolio prioritises the discussion of marriages, WhatsApp videos and who got smashed where and with whom over the weekend.